What if you suddenly realized that God has a desire to overflow your life with His grace? If you are a follower of Jesus, then you probably suspect (even if you’re not really fully convinced just yet) that this is true. I would go so far as to say that the entirety of Scripture is an expression of the unmerited favor of a holy and loving Creator for his fallen and unworthy creatures that will end in an eternal flood of His grace beyond our imagination. That was kind of a thick, chewy sentence. Let’s try that again. The Bible is all about God’s grace for broken people. I believe God’s holy desire is to flood every corner of your life with His grace—a grace that loves us unconditionally exactly as we are but loves too intensely to simply leave us as we are. But we humans are dam builders. Do you see that? 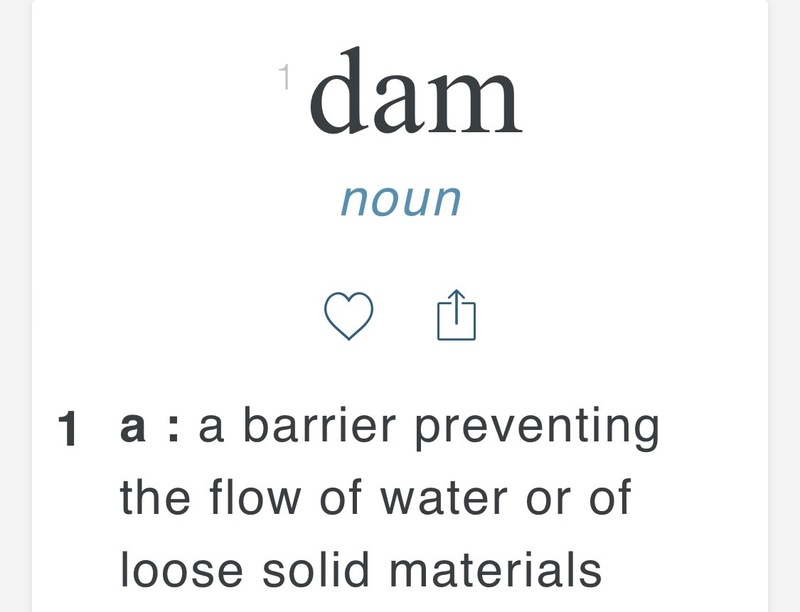 A dam is built to prevent the flow. Is it possible that we have built dams around certain parts of our lives that prevent the free flow of God’s grace into that part of us? Maybe it’s a relationship in which we are harboring bitterness or envy or hatred. Perhaps it’s an area of struggle or sin that we are unwilling to confess. It might even be some part of us that we are so very proud of that we hold only for our own fame. And we have erected a dam that prevents the flow of the torrent of God’s grace into that area of life. His grace is better. I promise. When we are willing to blow the dam, we find that we have been, like the little dutch boy, holding our finger in the hole or continually piling up sandbags to reinforce the dam… and when we just let go and let his very grace blow up the dam, we find the sweet, rejuvenating wonder of His grace pouring over us. Come on, now. Blow the dam. You’re not sure where it is? Ask Him to show you. Not sure how? Ask Him to show you. Let His unfettered grace infuse every part of you. Am I really sure about this? James seemed to be when he wrote, “But he gives more grace.” (James 4.6) How much? More. More than what? Yes. More. Like flood waters piling above and beyond, so His grace abounds. So blow the dam and let grace flow. These flowers are growing in my flower bed. 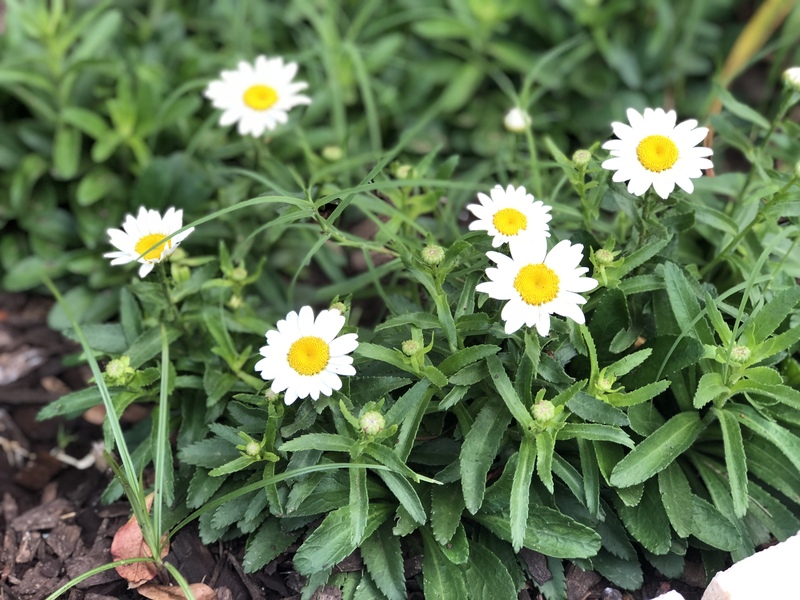 I planted them a few seasons ago because my Sweetie loves daisies. I do too now. They’re very resilient and remarkably hearty. I planted daisies so my wife would see them day after day and know that I love her. But there are other less intentional results of planting daisies. I see them and remember why I planted them. I see them in the winter time when everything is brown and dormant and I pull the old dead stuff away. I see them begin to come back each spring with those dark green leaves peaking through the mulch. I see them spread out and fill out and produce those little buds. I see the first flowers and know that there are many more to come. Stuff gets dirty. It’s inevitable. It’s a fact of life. And it seems sometimes that, the more I get involved with people, the more messy it can get to serve and love and care for through the reality of this jacked up life. It seems to me that you don’t walk with someone through addiction with genuine compassion without any temptation to the addiction – whether in the same issues or in alternate equivalents. And even if it’s not the stuff you’re trying to help others deal with, the world is really like a cesspool of swirling mess. Unless you never look at people, you will see stuff and hear stuff and even touch stuff that is not good for your spiritual condition. It is inevitable. But what do we do about it? Were the monks onto something when they moved off to the wilderness to close themselves off from society? Are we supposed to so insulate ourselves from the wickedness of society that we cannot be polluted by it? But wait…manipulation and fear and greed and perversion seem to be just as present in the isolationist cultures as they are in the world at large. What are we to do? It’s a lot simpler than I think we may realize. In other words, it’s time to step into a continuous rinse of our lives by the power of the Scriptures. How can you do that today? How can you stay under the stream that helps rinse away the inevitable crud of this world? Maybe it’s as simple as listening to Scripture as you drive or choosing a passage to meditate on and memorize and looking back over it every hour. Maybe it’s as simple as setting a reminder on your phone to pause at regular intervals to take a bite of the Word. The world is messy. We need a continuous rinse.